Single's Awareness Day has come and gone, leaving behind lonely souls and broken hearts. Valentine's Day is the least favored day of the year by many, especially if you're single or if you're significant other is forgetful. If your V-Day was as miserable as they come, here are a few products designed to enrich your life and possibly fill that empty void. If you're in the mood to be anti-social and block out those obnoxiously lovey-dovey couples, Bluetooth headphones may be the perfect solution for you. The GOgroove AirBand Wireless Bluetooth Stereo Headset is perfect for cutting outside noise without constraining yourself with annoying wires. The AirBand wirelessly connects to any Bluetooth-enabled audio player, including the latest smartphones, MP3 players and tablets, allowing you to freely move around. On-board controls also allow you to adjust volume and switch tracks. When you're ready to be social again, a built-in microphone allows hands-free calling, as well! If gaming is your way to dry those tears, the Enhance Touch Screen Gaming Joystick is great. 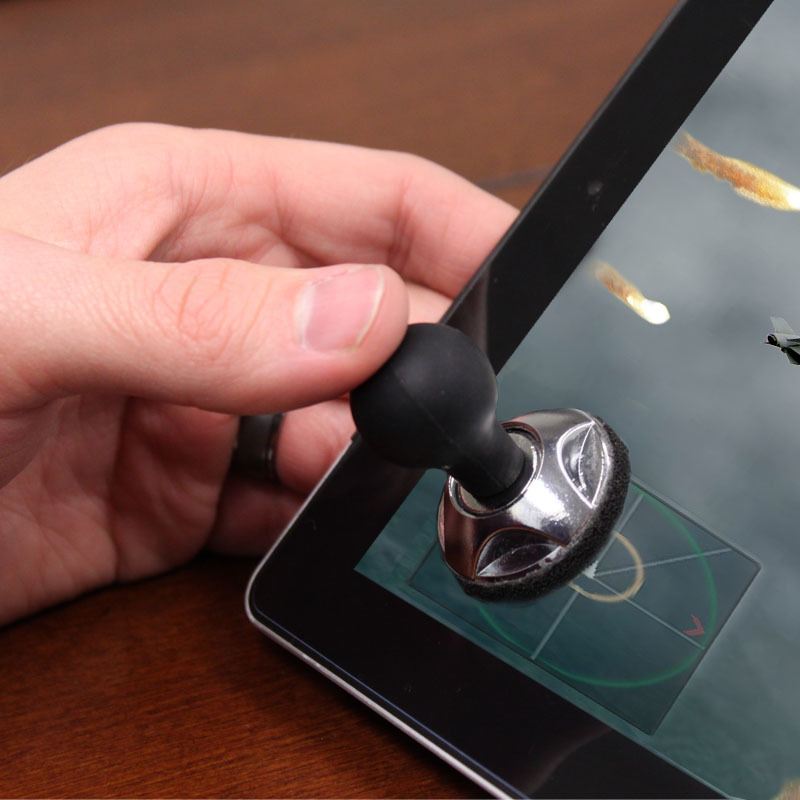 Easily attaching to your tablet with a suction cup, the Enhance Joystick makes playing games on your tablet or smartphone, giving games more of an arcade feel. Again, once you've mended that broken heart, use two joysticks to play with a friend! If your Valentine's Day was a lonely one because you're overwhelmed with work, why not treat yourself to an office makeover? The ScrollSmart Touch Sensitive Wireless Mouse is a fun and unique addition to any home or work office. A touch sensitive scroll wheel is comfortable and fun to use and it looks great as well. A USB powered fan is also a great addition to your office, keeping you nice and cool on those busy, busy days at the office. Whether you spent Valentine's Day alone, or with your significant other, know that it is simply like any other day. If you're in a relationship, show your honey love every day of the year. And if you're single and ready to mingle, don't let a day like 2/14 void you from any happiness or contentment.